Most attorneys may be familiar with the idea of an LNC attending an IME (Independent Medical Exam, Insurance Medical Exam and also known as Defense Medical Exam). Some need to be sold on the benefits and purpose of this role. Some attorneys attend the IME themselves or send a paralegal to observe. Here are some key points why an LNC should be the observer at an IME. 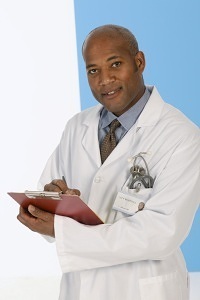 Attorneys may attend an IME out of curiosity or to intimidate the physician into writing an objective report. Physicians are often irritated by having an attorney present, which may carry over to how they prepare their report. The attorney at an IME may be watching the physician’s movements but since the attorney rarely has a medical background, he or she would not understand if the testing was being done properly. The LNC’s presence at the IME exam frees up the attorney to engage in other aspects of the law. Clients rarely want to get undressed in front of their attorney. Most paralegals who attend IMEs lack medical training and the ability to convey observations in medical terms. An LNC may serve as a testifying witness when there is a discrepancy between what took place during the exam and what the physician wrote in the report. Law firm employees who attend an exam who try to testify about what they observe would be considered biased. They derive their income from the firm and become useless in terms of rebutting something the physician claimed took place at the exam. People have a tendency to do a more thorough job when they are being observed by someone else who is writing down everything that occurs. This should result in a better exam for the plaintiff. I say “should” because I have seen physician cut corners even though I was present. Plaintiffs are often reassured to know a nurse hired by their attorney will be present to support them during the exam. Nurses can observe what’s going on and describe it. Most commonly LNC observes either orthopedic or neurological exams. After the LNC has witnessed 5 or 10 of these, she could probably do these exams herself. This blog post is modified from “Observing as an LNC at an Independent Medical Examination” in Honing Your Legal Nurse Consulting Skills. Med League provides LNCs who attend IMEs. Contact us if you have a need for an LNC.